Pop star Rihanna recently stunned the fashion world with her wild looks on the cover of a global magazine. What interested the fashion conscious in India were the ruby and diamond ear cuffs she was wearing in the photograph. For, the ear cuffs were made by Amrapali Jewels, a Jaipur-based maker of ethnic luxury jewellery. 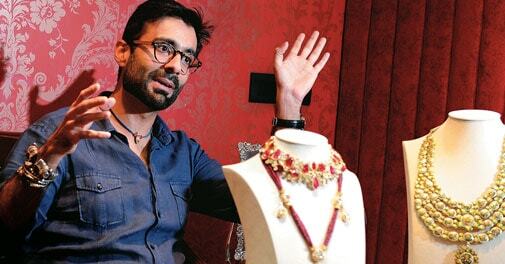 Rihanna, though, isnt the only celebrity to adorn luxury jewellery made in Jaipur. Jennifer Lopez, Halle Barry and Angelina Jolie are among other international celebrities who have all done so on multiple occasions, says Tarang Arora, CEO, Amrapali Jewels. Amrapali was set up by Rajiv Arora, Tarang's father, and Rajesh Ajmera in 1978. The two would travel to remote villages of Rajasthan, Gujarat and Odisha to buy tribal jewellery. "Each piece was unique in design and style. This helped them understand ethnic jewellery," says Tarang. For a long time the company focused mainly on the Indian market. A chance to showcase its Bollywood collection at the high-end department store Selfridges in London, in 2002, changed the face of the company, says Tarang. It now has presence in seven countries with 36 retail outlets, including at London's Harrods store. Tarang says 95 per cent of luxury jewellery pieces are unique. "I can make some things look alike but I can't make exactly the same piece of jewellery again. For instance, every piece of diamond is different in shape, size, clarity and colour," he says. Amrapali draws its strength from ethnic Indian jewellery and doesn't compete with global marquee brands such as Cartier and Bvlgari. "Even our contemporary designs would have a traditional touch, in the form of enamelling, or depiction of parrots and elephants," says Tarang. Indeed, Indian luxury jewellery stands out for its distinct designs, which includes kundan, meenakari (enamelling) and thewa. Enamelling is the art of coating the surface of gold and silver with vitreous enamel (made from molten glass) of different colours in an intricate design pattern. The designs may involve simple geometric shapes or more sophisticated patterns. This art was introduced to India by the Mughals and brought to Jaipur by Raja Man Singh around the 16th century. Kundan involves setting of precious stones in a jewellery piece using gold foil while Thewa is the art of embossing a filigreed sheet of gold onto molten glass to make jewellery and artefacts. One of the prominent makers of enamelled jewellery in the city is Surana Jewellers. Nearly a third of its revenue comes from the luxury segment where the profit margin is higher. Director Kamal Surana says the jewellery market in India began changing for the better around 2000. "The whole scenario has changed in the past 15 years. The number of people who can afford luxury jewellery has grown tremendously in recent years," he says. Hong Kong-based Sanjay Kothari, Vice Chairman of KGK Group, concurs with Surana. He says that, though the luxury jewellery market in India is fragmented, it is growing at an annual pace of about 20 per cent. KGK Group started in 1905 as a trader of coloured gemstones. It now has presence across the entire value chain of the gems and jewellery business, which includes jewellery manufacturing, exports and retailing. Its retail venture, Entice, mostly sells luxury jewellery and has four stores in Jaipur and other cities. "We are planning to open our fifth store in October," he says. The jewellery maker with perhaps the richest legacy in Jaipur is The Gem Palace. 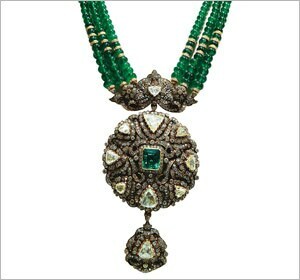 The chain was started in 1852 by ancestors of Sudhir Kasliwal, a partner and eighth-generation owner of The Gem Palace. Kasliwal says people from across the world fly down to Jaipur to buy jewellery from The Gem Palace. "That's due to a strong word-of-mouth publicity. Almost 70 per cent of our clients are foreigners, who like our workmanship and designs," he says. The Gem Palace has about 200 artisans working for it directly and indirectly who have mastered contemporary and traditional jewellery making. It runs five company-owned centres, including one in Delhi's DLF Emporio luxury mall. It also has a tie-up with Oberoi Hotels to sell jewellery at selected hotels. 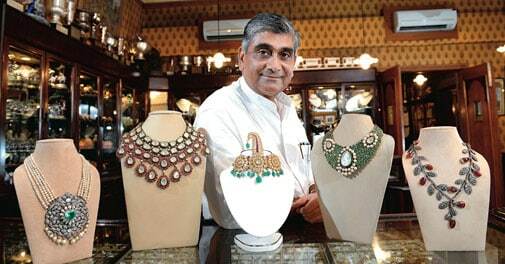 Kasliwal says Jaipur's gems and jewellery industry has evolved over the past few years. From doing low-value cutting and polishing work of gems, the city has mastered the art of making value-added products such as jewellery, he says. Still, there is a long way to go before a Cartier-like brand emerges out of Jaipur. "Indian jewellers lack perfection," says Amrapali's Arora. Echoes Kasliwal: "Our branding is weak. We lag behind in maintaining quality and consistency."